SLTU-2016 - International Workshop on on Spoken Language Technologies for Under-resourced Languages. 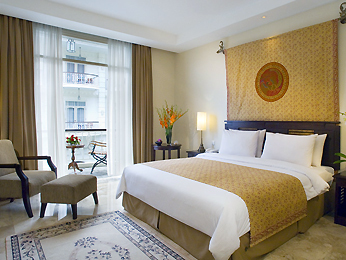 Elegantly furnished Deluxe room offers a unique Javanese colonial experience combined with a modern setup (flat-screen TV, rain shower, safe deposit box, unlimited complimentary WIFI Internet connection, and a daily turndown service). If 2 participants would like to share the same room, please indicate only by one participant to pay full accommodation fee. The other participants can simply state “not staying at Hotel phoenix” in online registration form so that no charges will be requested. The cancellation done before April 15, 2016 will be processed with 50% refund while the cancellation done after April 15, 2016 will be processed with no refund (given that we will have to guarantee for venue reservation). However, the registration may be transferred to another name.